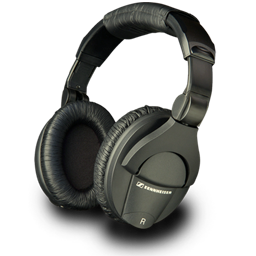 Do you want an EFFECTIVE way to improve your English listening? I’m doing the Listening Course and I truly appreciate it. The way the course is conceived makes you learn effectively – it’s not passive listening. It’s active, interesting and fun. I like the variety of topics, different voices and ways of speaking. The extra vocabulary of the lessons clarifies just what I need to know. I’m seeing real results. When I watch a video on the internet or a movie on the TV I find myself able to understand that expression or phrase because I learned it in my lessons. And wow, it’s satisfying! The more you understand the more you enjoy. That makes me willing to keep going and learn more, and confident that I’ll improve further. Do you have difficulty listening to and understanding native English speakers? …but when you listen to spoken English, you don’t understand everything. So why is listening so difficult? 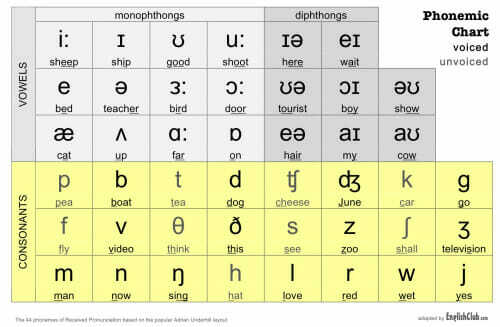 #1 – The written form of English words is very different from their pronunciation. There are many silent letters, like in the words comb, sign, knock, half, muscle, guard, and wrist. 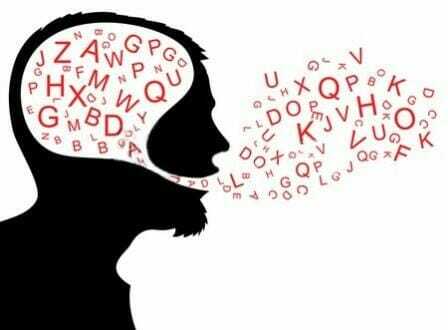 This means that if you normally study English with your EYES (reading), you often won’t recognize words when you hear them with your EARS (listening). In some audio samples for English listening practice, they pronounce each word slowly and carefully – but in real life, native speakers don’t do this. Instead, we “connect” words so that two or more words sound like one! sounds like this: I’m gonna-af tacallya back later. sounds like this: Couldja lemmenoif yercomin atheparty? This means that listening to “slow English” audio is helpful… but it is NOT enough. To be fluent in English, you MUST get used to hearing fast spoken English. If you live in an English-speaking country, you can hear English all day, every day – but if you don’t, then it’s hard to practice your listening in a way that helps you improve. Some people say you should simply “listen more” – and some English teachers even claim that you can learn English completely naturally just by listening. First of all, if you only partially understand what you’re hearing, it’s easy to get frustrated and stop trying – and then you won’t make progress. Second, “just listening” is OK – it’s better than nothing – but if you’re not doing exercises while you listen, then you won’t get the full benefit of improving your comprehension and your vocabulary. 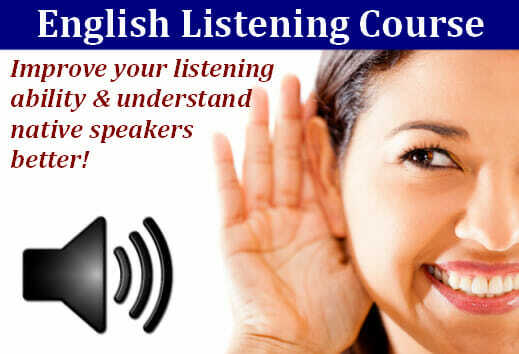 The English Listening Course, will help you improve your listening in an effective way, so that you can understand native speakers better. Before the listening, I’ll pre-teach you some key vocabulary, so that you won’t be completely “lost” when you hear new words. Listen the first time for the general idea only. Listen again, now trying to understand the specific ideas. Listen again, now trying to get specific words. Finally, you can listen a last time with a transcript – so you can clear up any doubts and understand 100%. This method is helpful because it helps you make step-by-step progress towards understanding EVERY word. 45 lessons – you get instant and permanent access to them when you register. You can also download the lessons and save them to your computer. Recordings will be available at both slow AND fast speeds, making this course perfect for learners at any level of English. You can listen to the slow recordings to help boost your confidence, and to the fast recordings for an extra challenge. All the topics are completely new – they are on subjects I have never before covered in Espresso English lessons or courses – so you’ll learn a lot of new vocabulary, too!